The Motherland never fails to bring out gorgeous Anarkalis, Sarees, Lehengas, etc. for a cheap-as-chips price for breathtaking designs. However, once we relocate, the prices tend to surge and accessibility to gorgeous pieces can be a car drive away. Hence, in the day and age of 'fast-fashion' and next day delivery, it comes to no surprise that we turn to online boutiques for our dream dress. 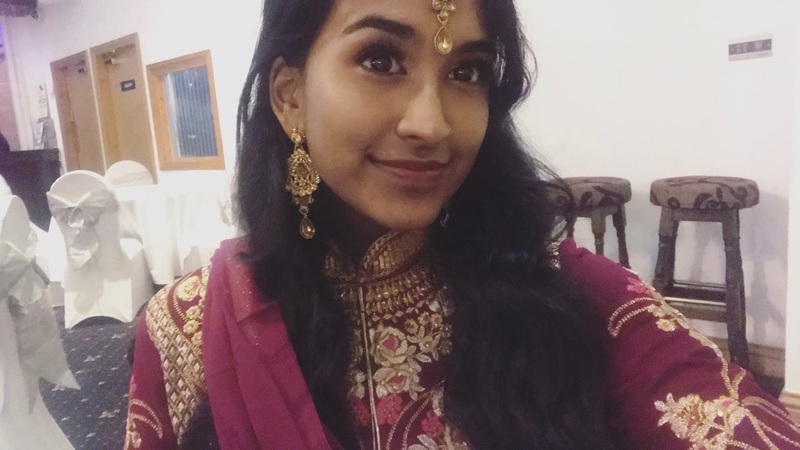 I made an impulsive decision to attend a Ball hosted by my University but had no asian dress to wear! A majority of my garments were left in America and I couldn't be more heart broken. Nonetheless, I looked to the internet for potential gowns and stumbled upon Andaaz Fashion. First thing first was delivery time. It was March 11th, 2019 and I had nothing to wear for the Ball that was on the 19th of March. Luckily, Andaaz Fashion have a Customer Service Chat where I can talk to one of the staff members to ensure my dress would arrive in time. I sent them links to the dresses I was interested in purchasing and they assured me that it would arrive by the 18th of March fully tailored. They email you a series of measurements you are to take so make sure that you have a tape measure available to be as accurate as possible. Without fail, my dress was dispatched and delivered by the 18th of March in the afternoon from India to the UK. Thus, if you are tight for time, discuss your options with the Customer Service Chat who tend to reply within minutes. They will confirm when the delivery date for your chosen suit is. Andaaz Fashion has gorgeous gowns for various prices available. They have many styles but my personal favourite are Anarkalis, especially full-sleeve ones with a high neck. I knew I wouldn't have time to find the perfect jewellery pieces to match the dress so wanted to avoid the need for a necklace with an embroidered high neck line. Hence, one of my favourite features of Andaaz Fashion is the fact that the vast variety and choice available to the customer. I chose this dress because the colour is universally flattering and the embellishments in gold added a rich, regal, and royal appearance. I appreciate when a suit ensures there is pattern at the hem of the dress, alongside down the arms and neck as it portrays effort and time. I wouldn't require any intense jewellery as the dress is loud enough to compensate. I truly felt like the Belle of the Ball. The image on the website gives off the impression that it would be very light and transparent but this is not the case. In fact, it is quite heavy which dictates high quality and the fabric is opaque. This suit will last a long time and is one that can be stored for safe-keeping. 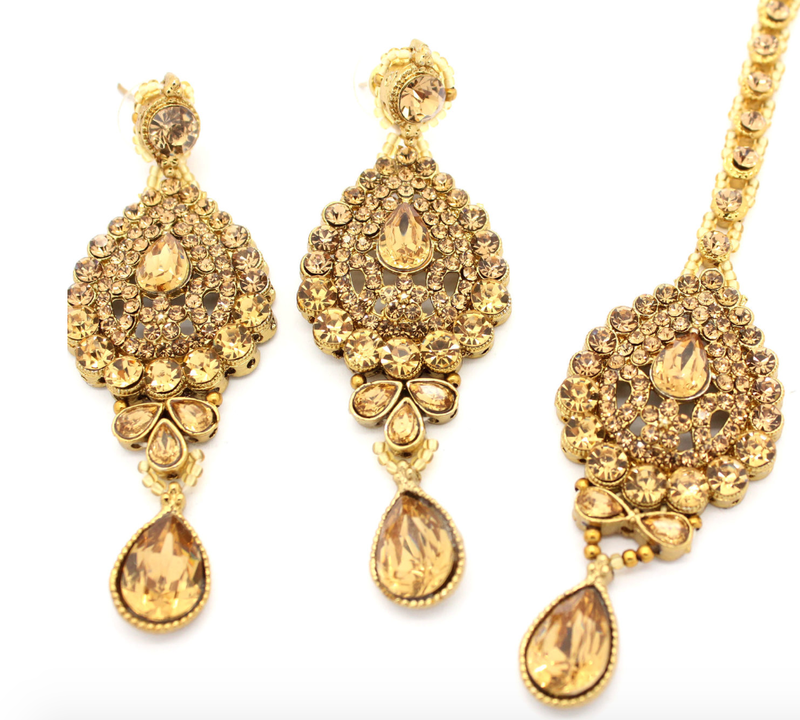 To style it, I wore rose-gold glitter heels from New Look, alongside a Tikka and Earring set from Glimour Jewellery which was gold to match the embellishments. 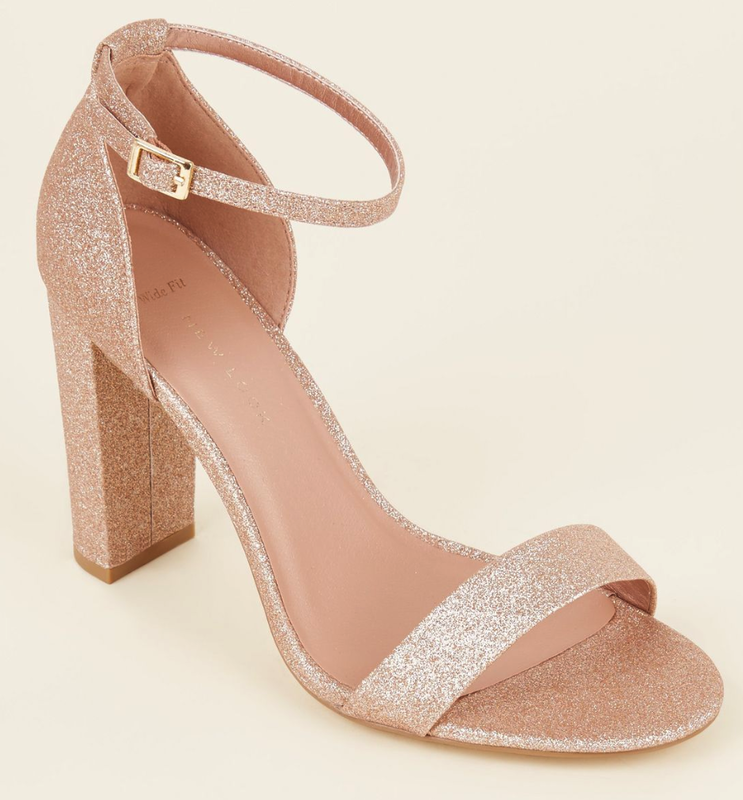 The Heels were perfect for dancing in as they were wide block and their height is enough to add length to the legs without taking away comfort. On top of that, I used eyelash glue to stick my Tikka to my head and it bared the dance floor and sweat without fail. The prices of Andaaz Fashion gowns do not reflect the quality, fast delivery service, and perfect tailoring. In my opinion, they can easily charge more for their pieces. I have a dress that I cost far more than this Anarkli and does not quite flatter my form or depict the same air of elegance as Andaaz Fashion does. There is no extra cost for tailoring when I ordered but this could be dress-specific. I will definitely be ordering from there again in a month's time for my birthday and Graduation. The dress comes with a pair of trousers and a dupetta/chuni. The dress looked as it did in the pictures in terms of pattern and design. I apologise for the skinny pictures but I cut out other individuals for privacy reasons. The dress fit me like a glove. It hugged at all the right places to appear flattering. Most asian wear that I own gives the impression of wider hips or loose at the arms and chest. I don't feel confident. Nonetheless, Andaaz Fashion tailor their suits to a T to exude confidence alongside ease of getting in and out. We've all had that sense of panic when they're stuck in their Asian dress with no means of getting out on their own. I recommend getting someone to help you with the measurements and any old flexible measuring tape will do. Be sure to give the measurements on the day of the order and save them for your next order! In essence, I will be ordering from Andaaz Fashion again in the near future for occasions that are coming up. This is the perfect way for me to 'stock up' on my fancier Indian dresses. They have something for everyone, no matter how high your standards. 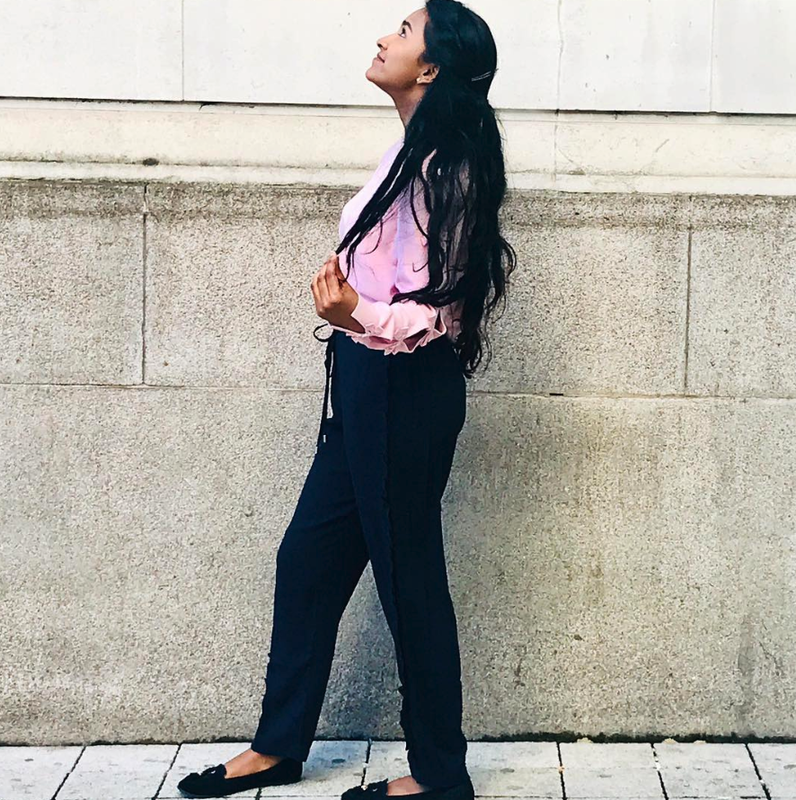 The perfect tailoring paired with quick delivery for stunning garments makes it a win-win!